This past week, BlackBerry App World celebrated its third anniversary by releasing a list of the top paid apps purchased from the site. Before we get into the name of those apps, let's talk about some interesting figures. 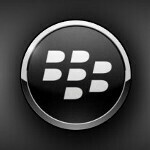 In the three years that the online application store has been open, over 2 billion downloads are linked to BlackBerry App World which now contains 70,000 apps. The fifth most purchased paid app from BlackBerry App World since its beginning is BeBuzz (Bellshare GMBH). This app allows the user to assign certain colors and patterns to specific callers, so that you can determine who is calling you by looking at the LED notification light. Number four is Shazam Encore (Shazam Entertainment Ltd.). This is an application that will tell you the full name of a song and the artist by sampling just a few snippets of the song. The third most downloaded paid app in the history of BlackBerry App World is Color ID (Motek Americas Inc.). Similar to BeBuzz, you can assign one of over 100 color combinations to your contacts alerting you to who is sending you a text, email, call or BBM. Number two is BeWeather (Bellshare GMBH) which is your typical weather app that gives you forecasts for whatever cities you request. Drum roll please...wait,stop the music. Stop the music. Believe it or not, the most downloaded paid app for BlackBerry App World is an app used on BlackBerry PlayBook. Considering that there are about 1 million PlayBook users and more than 77 million BlackBerry smartphone users, this app has to be super duper, amazingly popular to make up odds of 77 to 1. Would you consider Angry Birds to be popular? That's right, Rovio's Angry Birds, available for the BlackBerry SmartBook tablet only, is the top selling BlackBerry App World app of all time. When you look at these apps and compare it with what the top apps would be on the Apple App Store or Google Play Store, you probably would get a good feel for why this is a make or break year for BlackBerry. Wow three comments. This is sad. I remember when RIM news used to bring in 4 comments.